picture says 1012 , cars are ? That pic was taken in 1911. The blue porcelain licence plate was available that year only. Great pic, please find more. I am sceptical of them being Hupps. In 1911 they were making only the little Model 20, a runabout. 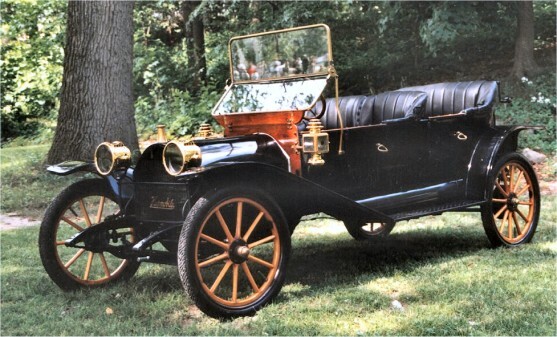 In 1912 they dropped the 20 and introduced their Model 32, as a roadster and touring. 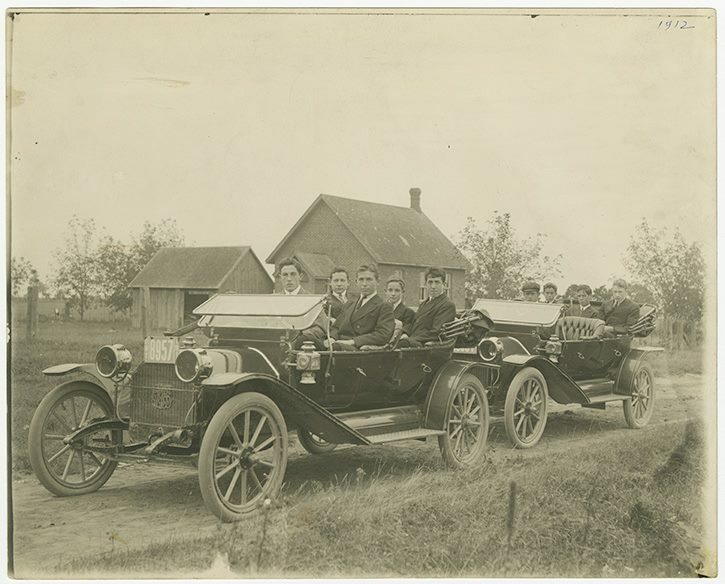 While these cars do have high mounted headlamps as the Hupps did, these are mounted at the frame horns while Hupp had them attached to the fenders. The Model 32 Hupp also has a cowl mounted fuel tank. I do not know what these are. Most definitely a Hupmobile. If you Google Hupmobile images on the second page a red 1909 Model 20 roadster comes up that matches this car except for the back seat. Well, I stand corrected and educated. It IS a Hupp, what looks to be a Model D.
Hupmobile did indeed build a touring based on the model 20. They sent one on a tour around the world in 1911. Six (from memory) continents, several tens of thousands of miles, more than a year on the road. And Robert C Hupp had been ousted from the company before they returned. Neat cars. A bit small, under-powered, and slow. I tried to buy one about twenty years ago, but couldn't make it happen.